Let me share you a small tip which I learned during my first months of e-learning job. This one is regarding the fonts which we use to make our e-learning courses appealing. I know there are a lot of professional as well as artistic fonts available online to be used while designing your e-learning course. Of course, some fonts look exactly like the hand written letters or the chalk-drawn ones. Here, I want to share a simple method to create chalk-written letters (or images). Apart from PowerPoint, what I use additionally to create the letters is the MS Paint version available with Windows 7. 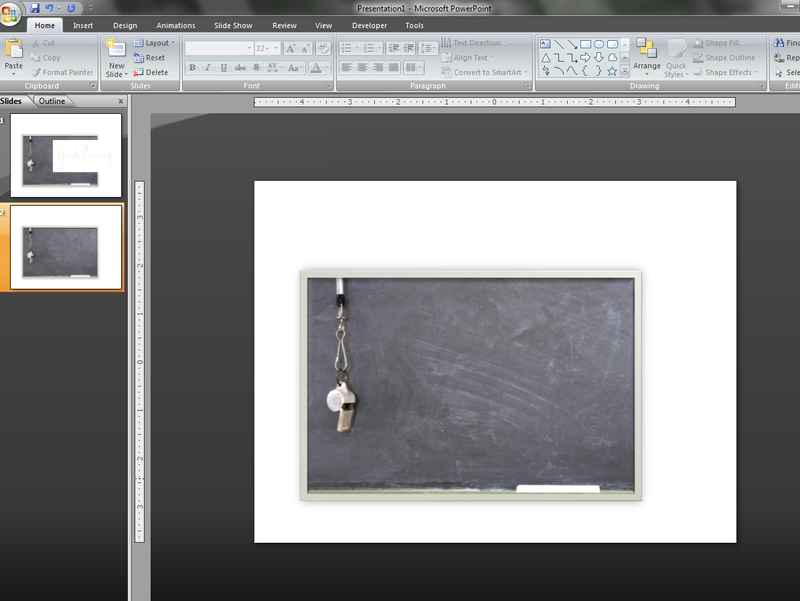 You can use the image of a chalk board in PowerPoint seen as below. 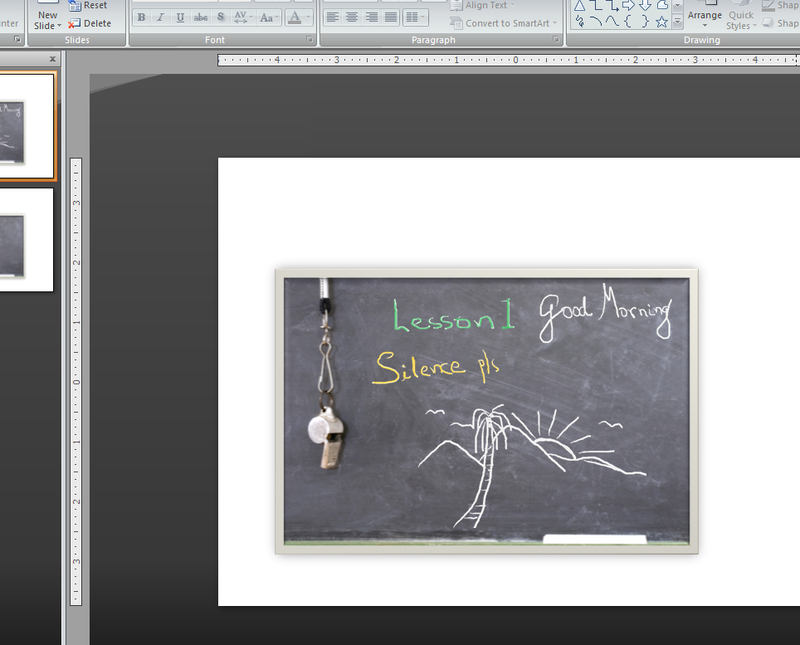 You can browse the image of a chalkboard from net or you can find one in the PowerPoint's clip arts section itself. If you don’t have the chalk-written fonts installed on your computer, try doing the steps which are described below. Open your MS Paint (Windows 7) and manage some blank white space. Even I did not think about the application of MS Paint in the creation of e-learning modules. Well, you could say, it was something which I found from 'serendipity'; through my long-term fascination with MS Paintbrush. Thanks for posting Tom Kuhlman's link. I already had gone through this post about SimpleDiagrams several times, since I get his blog updates regularly through e-mail subscriptions.